On Sunday, don’t forget to set your clocks back an hour, as Daylight Saving Time comes to an end. It’ll get colder outside, and it’ll be darker a little earlier. With the time change, what better way to adjust to the lack of sunlight than to enhance your property with new outdoor lighting? How nice would it look to have visitors greeted by a lighted introduction? How much do you think it’ll accentuate your home when your driveway and walkway are lit? Most importantly, how much would a lit front yard aid in your family’s safety and security? 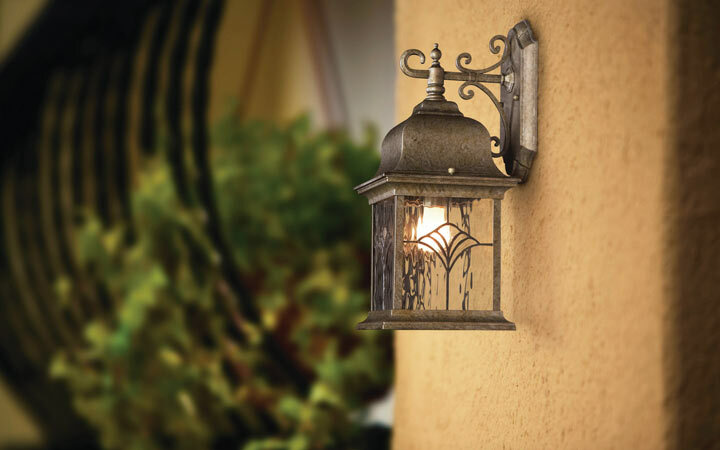 It’s never a bad idea to have outdoor lighting for your home. Here are three things to think about if you are considering outdoor lighting. : As with any light in the house, the more you run your electricity, the more you’re going to pay in the long run. It’s a great idea to use low-watt or energy-efficient bulbs, especially if you’re one of those who enjoys keeping the porch light on. : If you have a pool, the last thing you need is to install outdoor lighting incorrectly – especially if it’s close to the water. Take time out to give the wiring proper maintenance, and keep the lighting as far away from transformers as possible. It’s best to have a professional handle the task. : Keep in mind that what someone will do cheap, someone else will do cheaper. We suggest that you make calls and get two or three bids before selecting a contractor. The professionals at Blooms Landcare in Fort Worth TX offer exceptional services at very reasonable rates, and they are willing to compete with any price.